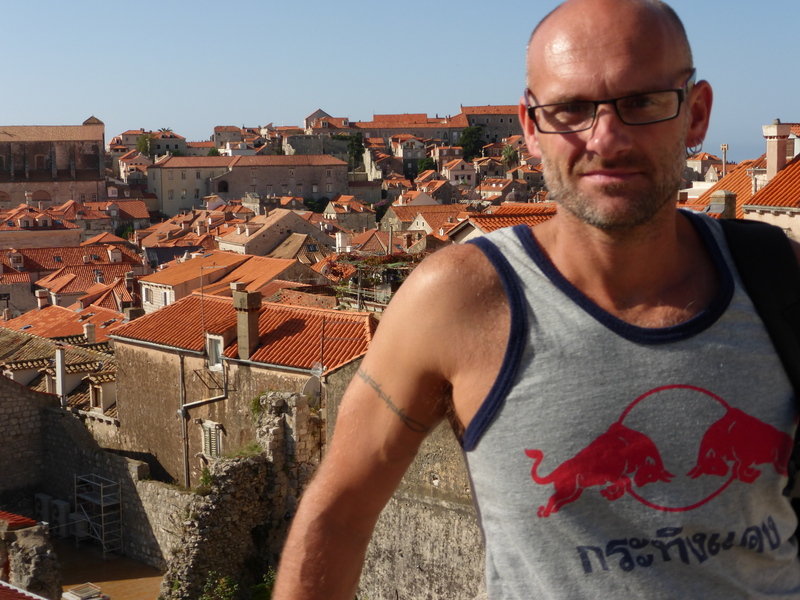 Walking the walls – part one | Hand Luggage. 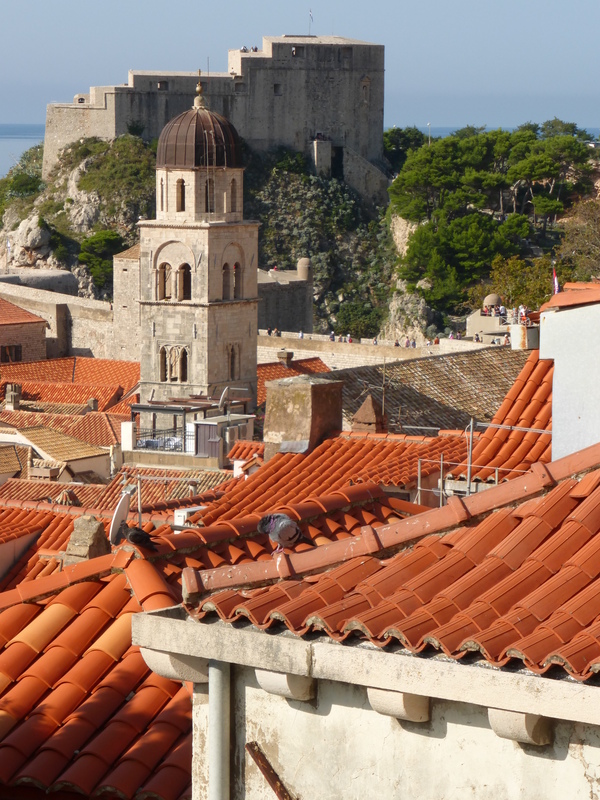 Dubrovnik old town is encircled by around two kilometres of walls and battlements. 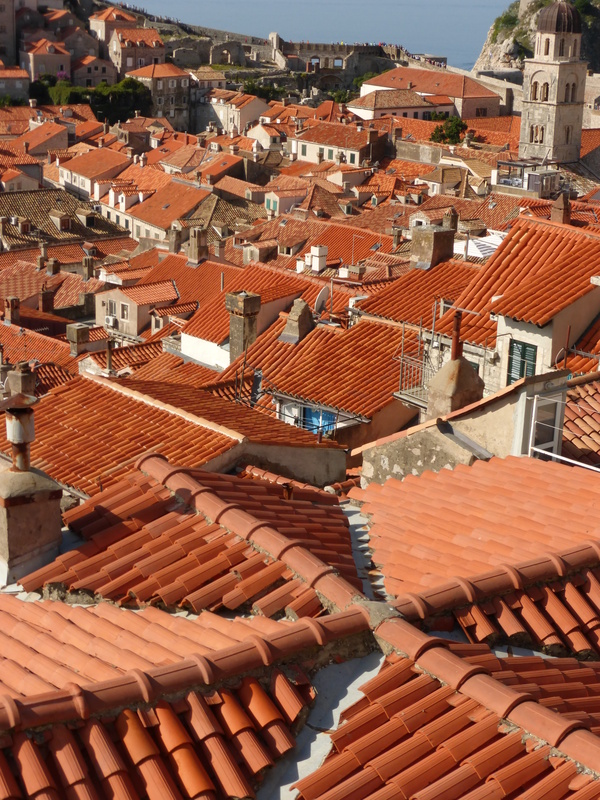 It takes around a hour and a half to march along them and they give fantastic views of the town, sea and red roof tiles. 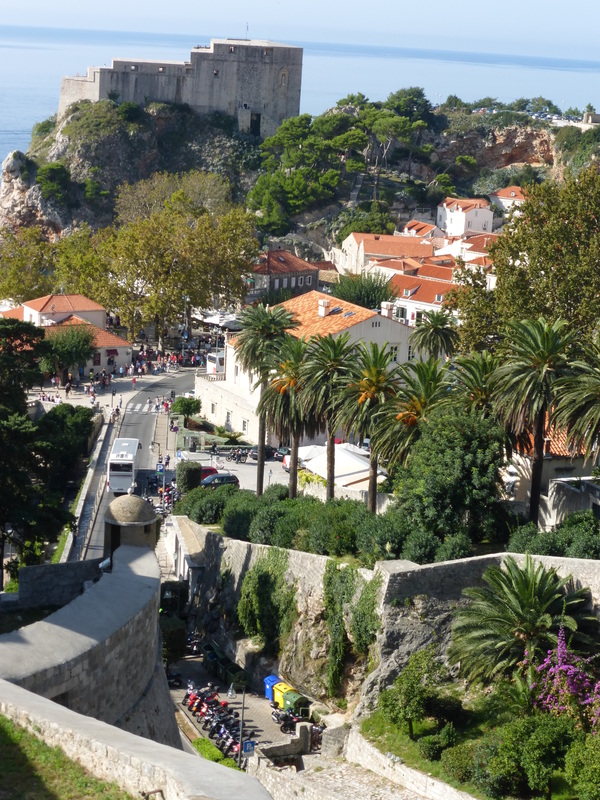 There are three entrances to the city walls: at Pile Gate, Ploce Gate and at Sv Ivan fort. 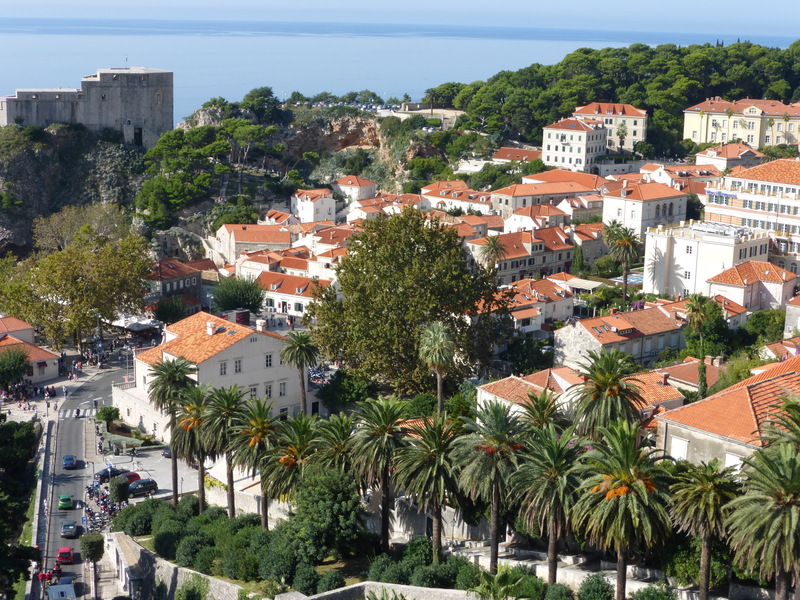 We chose the Ploce Gate entrance as there was not as much of a queue. 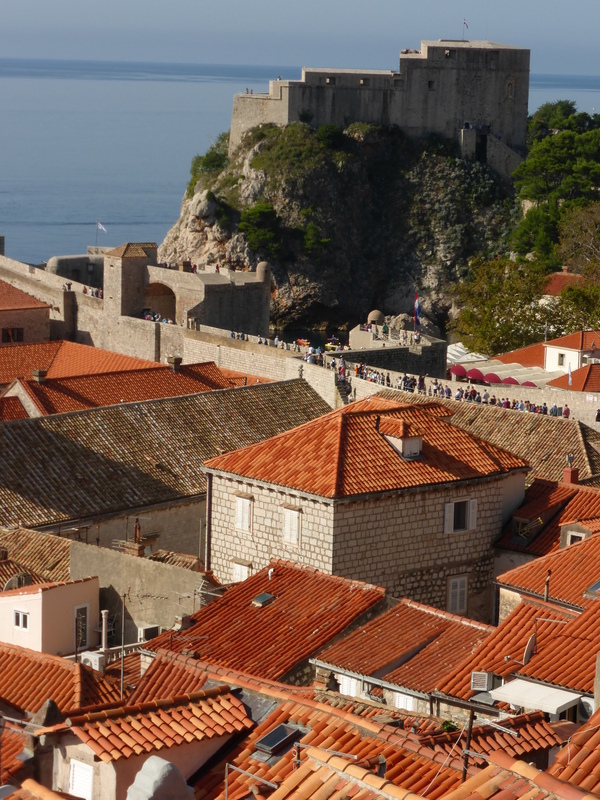 Here’s Revelin Fortress, an austere block of formidable stone. 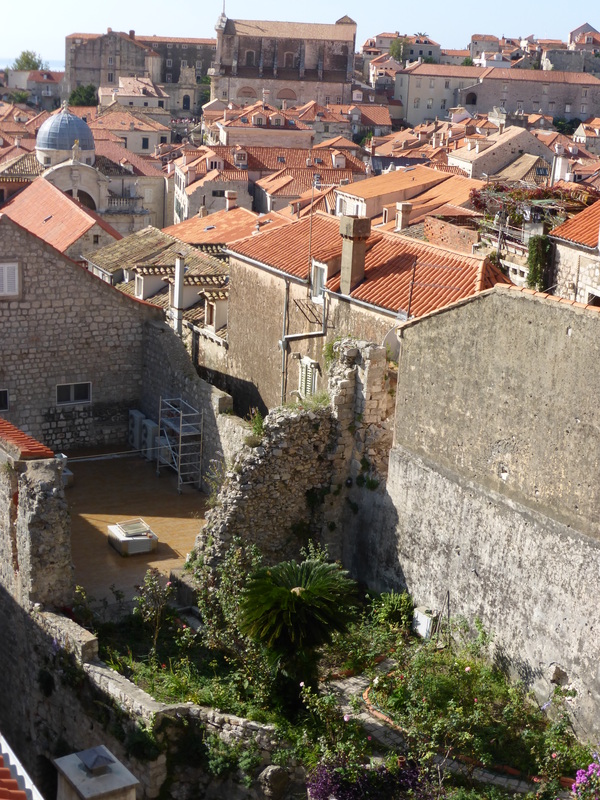 The initial fort was built in 1463, in the period of threats from the Ottoman empire, who had conquered Constantinople in 1453 and were about to occupy nearby Bosnia (occupied in 1463). 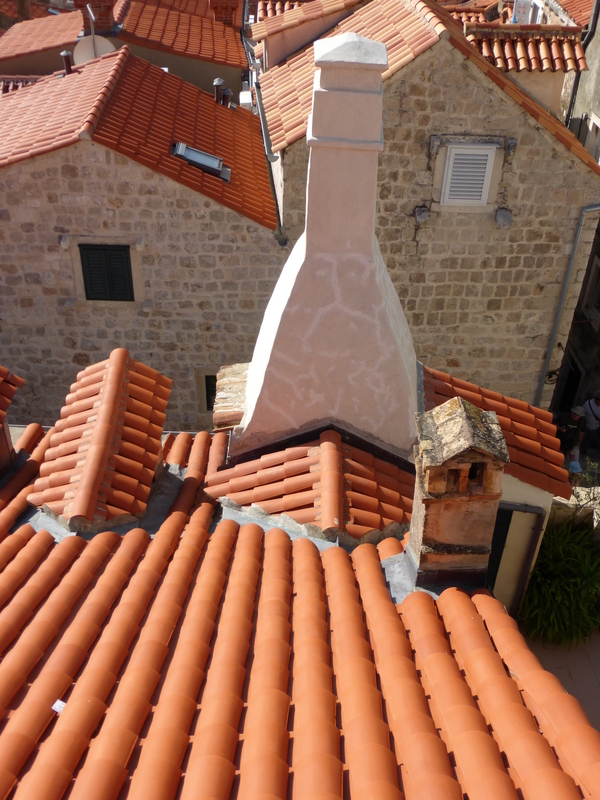 The first of many terracotta roof tile shots! 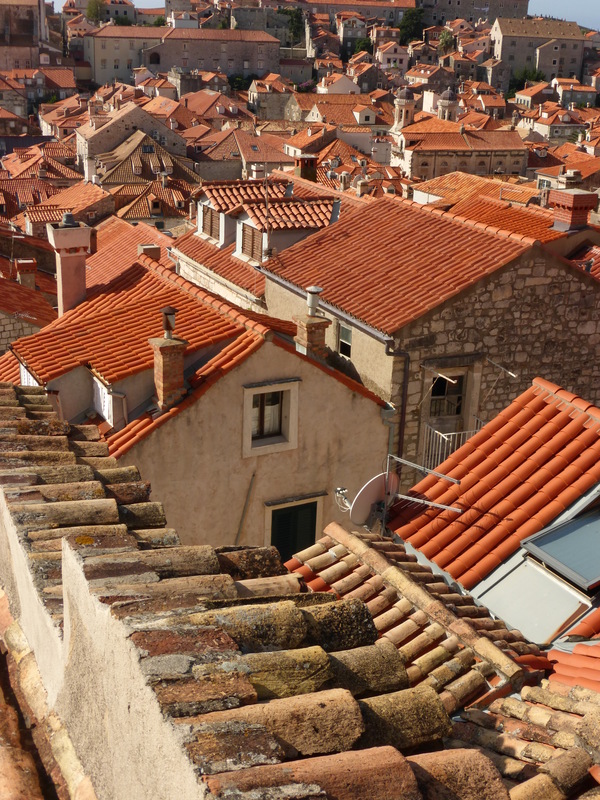 I love the warm, ripples of the roofing. 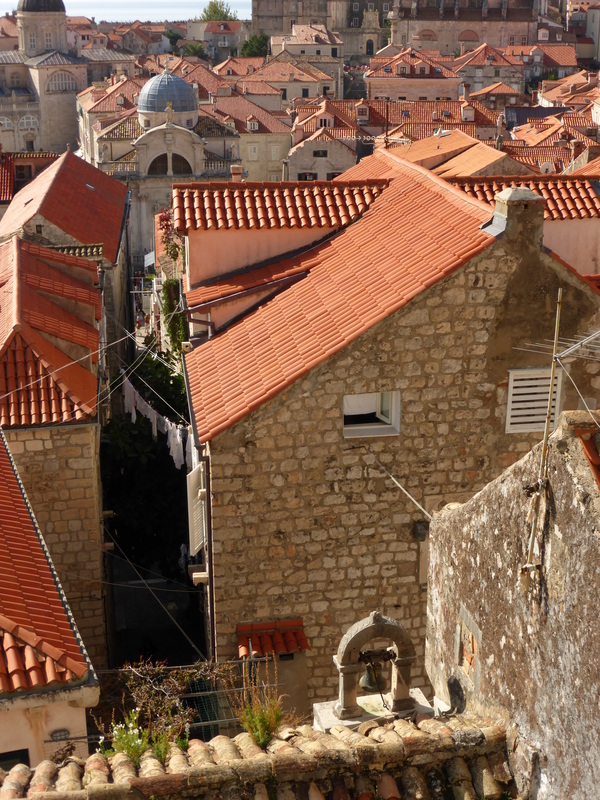 During the shelling of the city in the early 1990s many of the traditional roofs were damaged and have been repaired in a patchwork of different shades. 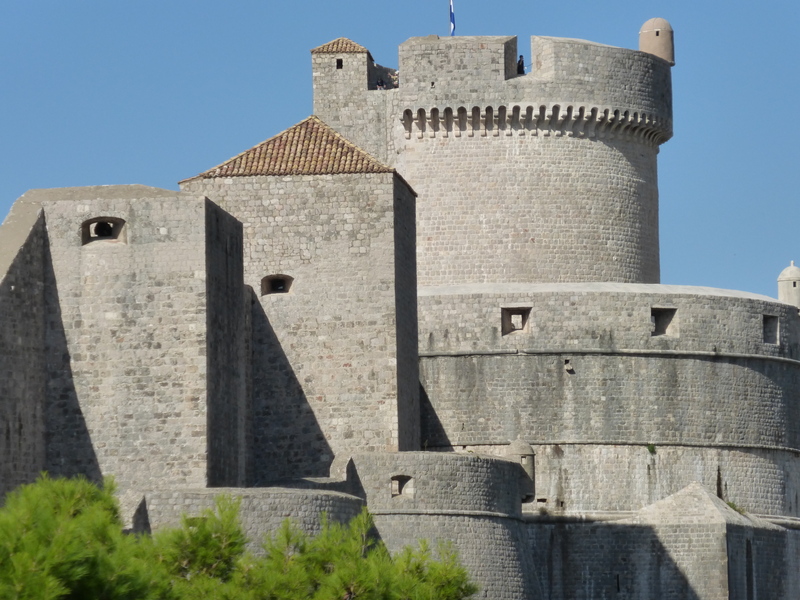 Minceta Tower is another of the imposing fortifications along the town walls. The sunlight really makes the ancient grey stone come to life. 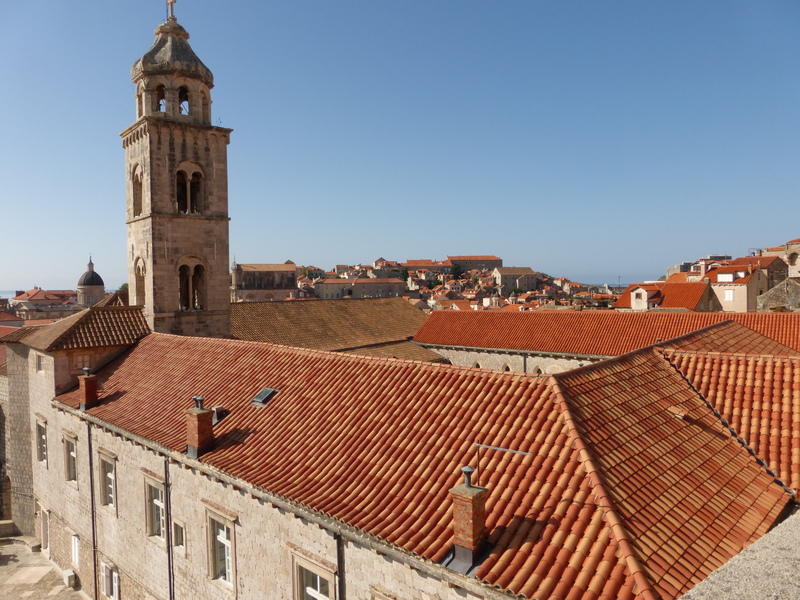 The views across Dubrovnik old town are just lovely and change as you get further along the walls. Here Neil blocks out some of the lovely views . 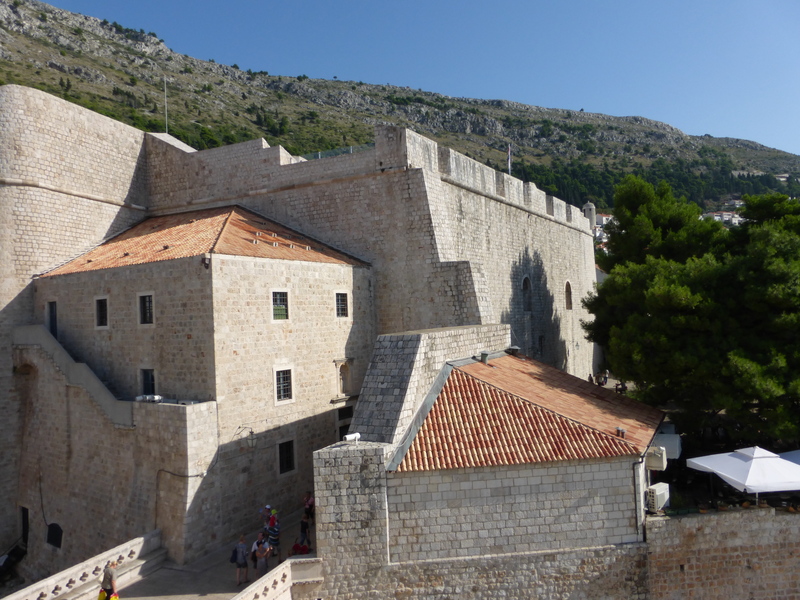 . .
On average 24 metres high and up to 6 metres thick, the walls date back to the 13th century. 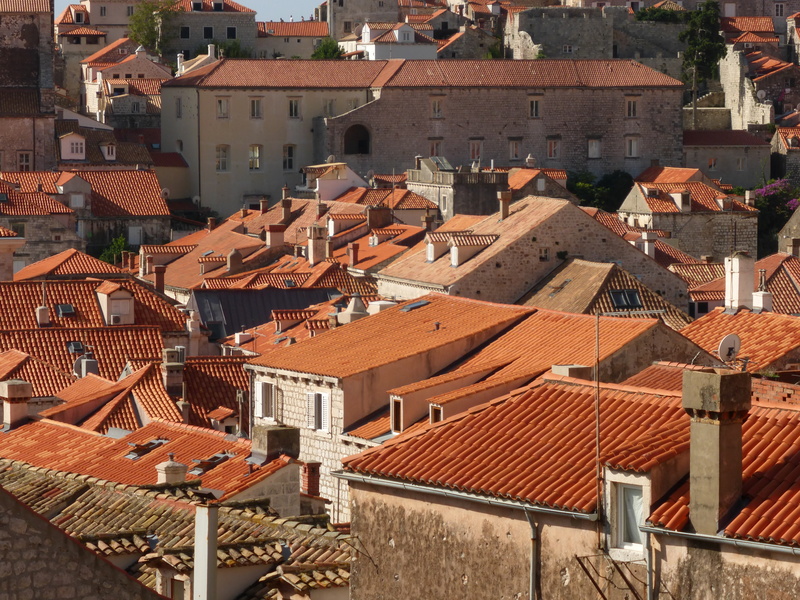 Further reinforcements, including a series of imposing towers intended to protect the city against the Turks, were added in the 15th century. It’s not just about endless patchworks of red though, you also get fantastic views out to sea as well. 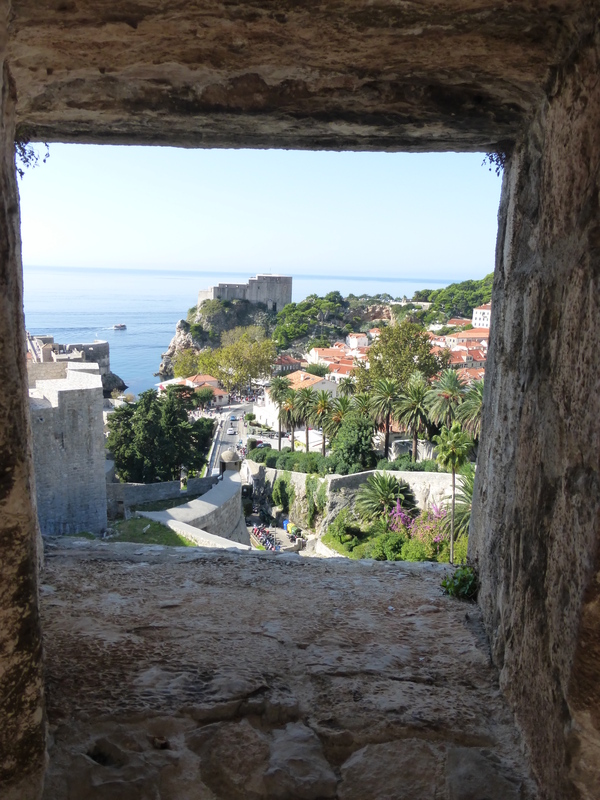 Peeping through the thick stone walls gives you a nice shady spot to beat the heat. Just don’t hit your head like I did!